The promotion sets eight more matches to the upcoming Stikeforce Challengers 18 event in Sin City. Strikeforce listed eight additional match-ups for the upcoming Strikeforce Challengers 18 event, five of which takes part on the evening’s main card. The Strikeforce Challengers 18, which headlines the lightweight face-off between Jorge Gurgel and Joe Duarte, will be held next week, August 12, at The Pearl at the Palms Casino Resort in Las Vegas. The night’s main card is believed to be airing on Showtime. 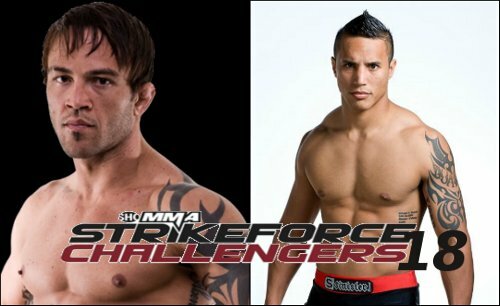 The upcoming event is said to be the second Strikeforce Challengers show to take place in Las Vegas. The first one is the July 22’s Strikeforce Challengers 17, which successfully carries more than 1,800 viewers and huge ticket sales of $42,987.50. However, not all tickets were sold for the event. In fact, 76% of them were left and were eventually distributed as complimentary tickets. Jorge Gurgel (14-7 MMA, 2-2 SF) vs. Joe Duarte (9-2 MMA, 1-0 SF).